Inclusions: 1km white sand swimming beach, bathroom/shower facilities, 28 outdoor showers, 2 natural pools, beach umbrellas/hammocks/chairs/swings, access to restaurant, lounge areas, general store, sports shop & playground, Miguelito Island’s tidal pools/cliff jumping/snorkeling. For overnight: movie nights, band night & special events. BREAKING NEWS! 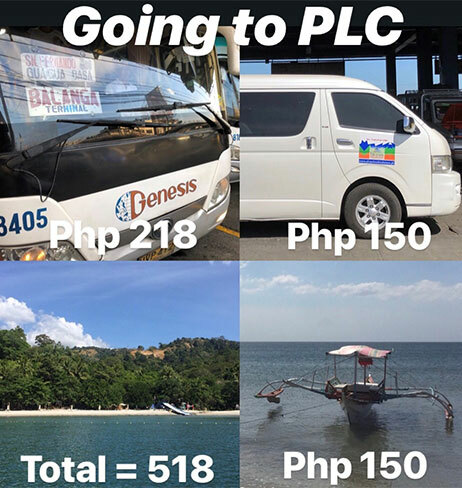 PLC TRIP NOW ONLY PHP 518! Land Transfer: The air-conditioned private shuttle of PLC has started. This is for commuters who take the bus from Cubao/Manila, or the ferry from Mall Of Asia. 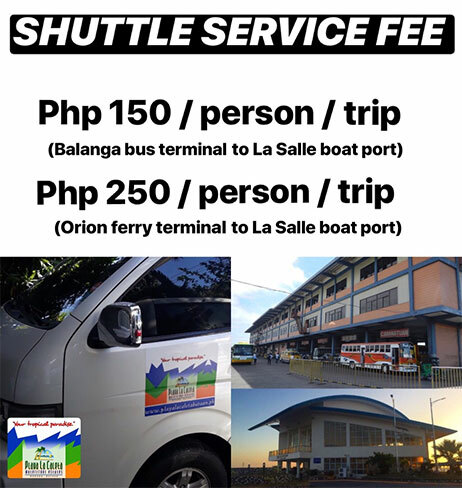 The 30 minute van transfer from Balanga bus terminal to La Salle boat port is a flat rate of Php 150 per person, one-way. The 1 hour van transfer from Orion ferry port to La Salle boat port is a flat rate of Php 250 per person, one-way. For special trips, Php 1,200 (Balanga) and Php 2,000 (Orion) one-way shall apply. Pre-booking is required. Boat Transfer: The queueing system of boats shall commence. No need to book. 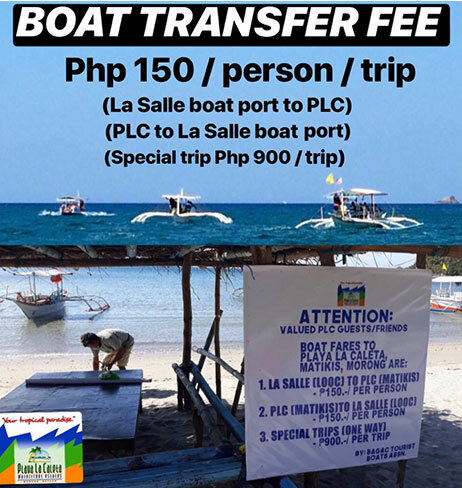 The 15 minute boat transfer from La Salle boat port (Jaime Hilario Integrated School in Bagac) to PLC is a flat rate of Php 150 per person, one-way. The same fee will apply from PLC back to La Salle boat port. For special trips, Php 900 one-way shall apply. For safety, last trip of all boats is 530pm! These two announcements will make your PLC trip much more easy & affordable, becoming a regular beach destination for everyone: you can decide & come in an instant, all the time! * PLC reserves the right to update its public rates, policies and data without prior legal notice.